With his master dead, apprentice wizard Tobas, knowing only an elementary spell for starting a fire, sets out to seek his fortune in the faraway, magical realm of Old Ethshar. Ethshar and the Northern Empire have been at war for hundreds of years. Hardly anyone alive remembers why, or over what. The tempest, turmoil, and war are endless, and the killing more endless still. The war has become not just a way of life, but an institution; no one dares to dream that it could end. Not even Valder of Kardoret, Ethsharitic Scout, trapped behind enemy lines. Just as good as the first time i read it. 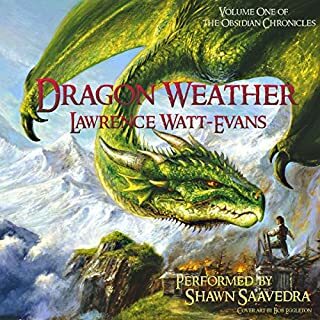 The first novel in Lawrence Watt-Evans' Obsidian Chronicles: Dragon Weather.Arlian had lived his entire life on the Smoking Mountain - the stony ground, jagged peaks, and black glass were all he had ever known. But then came dragon weather: Oppressive heat, dark and angry clouds...weather that lured the dragons from their caverns deep beneath the earth. 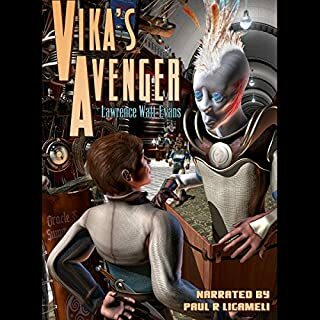 Twelve thousand years in the future, on a planet far, far away, a country boy named Tulzik Ambroz tracks the man who killed his sister Vika, following him across the poisonous crater that is all that remains of the planet's starport, into the great city of Ragbaan. Ragbaan - site of the planet's original settlement, heart of a civilization that has repeatedly risen to astonishing heights of power and technological prowess, only to fall, every time, back into barbarism. Once, not so long ago,a warlock named Vond built an empire in the southern part of the Small Kingdoms. Vond is gone, but his empire survives under the rule of a seven-person Imperial Council and a young regent named Sterren. The Empire of Vond was hardly trouble-free after Vond's departure. Its neighbors are understandably wary of further expansion, there are questions about how Vond's magic became so potent, and so on. Most of the World, though, doesn't care - Vond is off there in the southeastern corner of the World, far away from anywhere important. 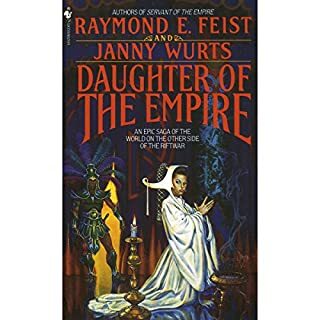 But one day a dockworker named Emmis watches a Vondish ship arrive in Ethshar of the Spices and finds himself hired as native guide and aide to someone who claims to be Vond's ambassador plenipotentiary to the overlords of the Hegemony of the Three Ethshars. 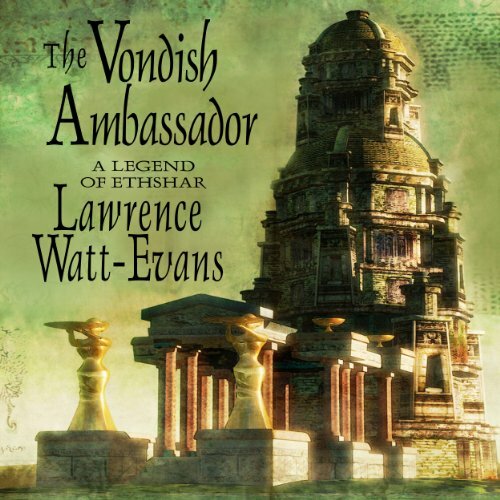 But who is the Vondish ambassador, really, and what is his true business in Ethshar? And who has followed him to the city? Would you listen to The Vondish Ambassador again? Why? 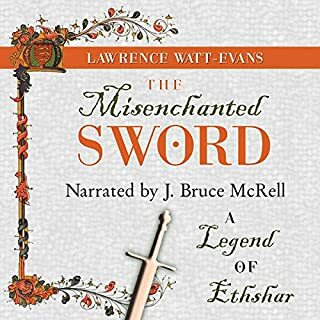 I'd probably listen again as I pine, wishing for more books in the series to appear in audio. 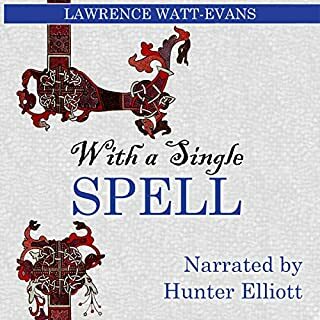 I've been reading Watt-Evans' Ethshar books for 20 years and about seven or eight years ago even emailed the author to ask if any audiobooks had been produced. He replied that as far as he knew, a few had been made as part of a "talking books" program for the blind but weren't available to purchase. 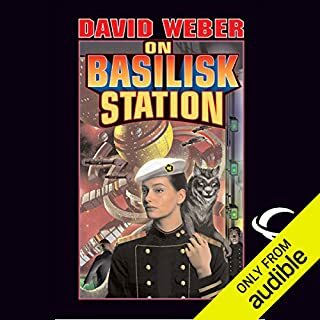 I was elated to hear about this audio version, but there is some indication that due to complicated publishing rights issues this may be the only one in the series to become available. Ethshar of the Spices. Although not anthropomorphized, the city still feels like a character. He tried a little too hard to differentiate characters so the voices were a bit exaggerated and therefore sounded forced. Also, it's pointed out in the story that Emmis is relatively young so the gruff voice didn't really seem to fit. Didn't really bother me; it's just something I noticed. If I had that much free time, yes. Read all the Ethshar books. They're smart, funny, and entertaining. The worldbuilding and magic systems are very consistent and although there is a definite chronology and some connections between books, they don't have to be read in any particular order.